Peter Green (born Peter Allen Greenbaum on 29 October 1946 in London, England) is an influential blues guitarist and founder of Fleetwood Mac and Peter Green Splinter Group. In the late 1960s, Green fronted Fleetwood Mac when the band played a hard blues-rock sound, prior to the more pop/rock sound for which it became known by the 1970s. Peter Green started off as a bass player in such bands as The Muskrats. Peter Green started off as a bass player in such bands as The Muskrats. Joining The Peter B's, led by Peter Bardens, later the frontman of Camel, (including drummer Mick Fleetwood) he switched to lead guitar and made his first recordings. He took over the lead guitar spot in John Mayall and The Blues Breakers in 1966 after the departure of Eric Clapton. After recording on one Mayall album Peter left in 1967 to form Fleetwood Mac. 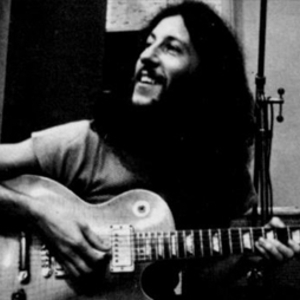 Peter Green was the guiding force of Fleetwood Mac from 1967 to 1970 when he left for musical and personal reasons. Under Green's guidance, the Mac played a very gritty and authentic version of the electric blues popularized in bars on Chicago's south side. (They even did some fine recordings there--"Blues Jam in Chicago"--which saw release only after his tenure in the band had ended.) A prolific song writer also, he penned such hits as Man of the World; Oh Well; Green Manalishi; Albatross and Black Magic Woman. Albatross reached number 1 in the UK charts, Black Magic Woman was also recorded by Santana on their Abraxas album. From 1970 to 1974, Peter played some sessions, and worked with several small bands, as well as releasing two solo singles and an album of extended jams, The End of the Game for Reprise. By the end of 1974, he had withdrawn from the music scene. Peter again left the music world in 1984, and there followed a very difficult period in his life, which came to an end in the mid 90's, and coincided with renewed interest, partly generated by a biography written by Martin Celmins, and a tribute album recorded by Gary Moore. Peter Green Formed a new group in 1995 with Nigel Watson called the Peter Green Splinter Group. Returning to form the group produced some of Peter's best playing since leaving Fleetwood Mac. Albums include 1997 Splinter Group; 1998 Robert Johnson Songbook; 2002 Reaching For The Cold 100. Peter left The Splinter Group in 2003. Since then, he has played sporadically, appearing at a Lord's Taverner's benefit at The Royal Albert Hall, and doing some gigs with The British Blues All-Stars.